Safety of your machine is a prime global requirement. 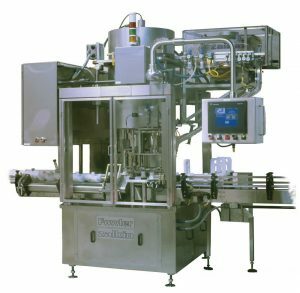 In current scenario, there are noticeable technological modifications are incorporated in the machine to cope up various requirements like more productivity, automation, more reliability, continuous operations etc. However, it is also necessary to verify the safety related issues with the man, machine & environment due to such modifications. Basically manufacturing/installing new machine & modification in the existing machine need to be evaluated for all possible risks & necessary assessment need to be done as per safety regulations. URS Product Testing & Certification team will make sure that whether your machine is meeting the global machinery safety requirements. Our Machinery Assessment provides a customized review of safety implementation that will help to define & manage corporate safety strategy. Basically, health & safety laws apply to all business, no matter how small it is. It involves practical steps that protect people from harm and at the same time, protect the future success and the growth of your business. Good practice in health and safety makes sound business sense which is a recent Global requirement in this competitive world. The machinery sector is an important part of the engineering industry and is one of the industrial mainstays of the Community economy. The social cost of the large number of accidents caused by the use of machinery can be reduced by inherently safe design and construction of machinery and by proper installation and maintenance. According to Machinery Directive 2006/42/EC & harmonized standard(s), the testing and assessment shall be carried out by our experts having vast experience with varieties of machineries like Packaging Machines, CNC Machines, Agriculture machines, Industrial application Machines, Construction Machines, Textile Machines, Pharmaceutical Machines Partially completed machines etc. Our experts will provide you proper guidance & conduct the assessment using the harmonized standards applicable to your machine to achieve full compliance with the Directive- including Essential Health and Safety Requirements (EHSR). Our experts will go through the requirements, processes and options with you. We may also conduct a gap analysis to identify your current areas of conformity risk and give you advice on any additional testing, paperwork updates or quality assurance give you advice on any additional testing, paperwork updates or quality assurance you might need. In addition to the above, we also provide CE Marking services for Electrical/Electronics/ Mechanical components/ products We does have Modern Technology embedded State of Art Testing Facility to conduct Quality Assurance Testing & Assessment, Pre- compliance requirements, Environmental test requirements etc. according to Indian & International standards. Our Lab complies with ISO 17025 International Standard for Testing Laboratories and facility is accredited by NABL.